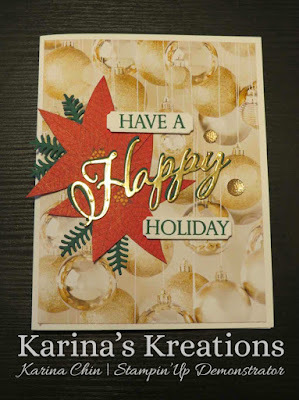 Karina's Kreations: Stampin'Up Merry Christmas to all Card! Stampin'Up Merry Christmas to all Card! It's so easy to create beautiful cards when you start with a pieces of gorgeous designer series paper. The designer series paper is called All is Bright and has photo realistic designs. 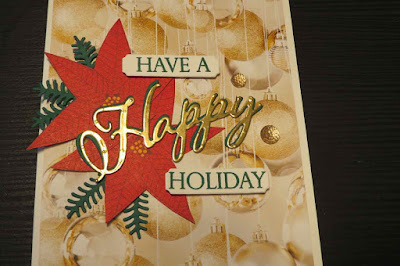 I case this card from the Stampin'Up Holiday catalog and there is very little stamping. The Christmas balls are designer series paper and the poinsettias are cut from designer series paper. The Scripty word is part of the Merry Christmas Thinlit dies. I highly recommend these framelits and coordinating stamp set #149952. 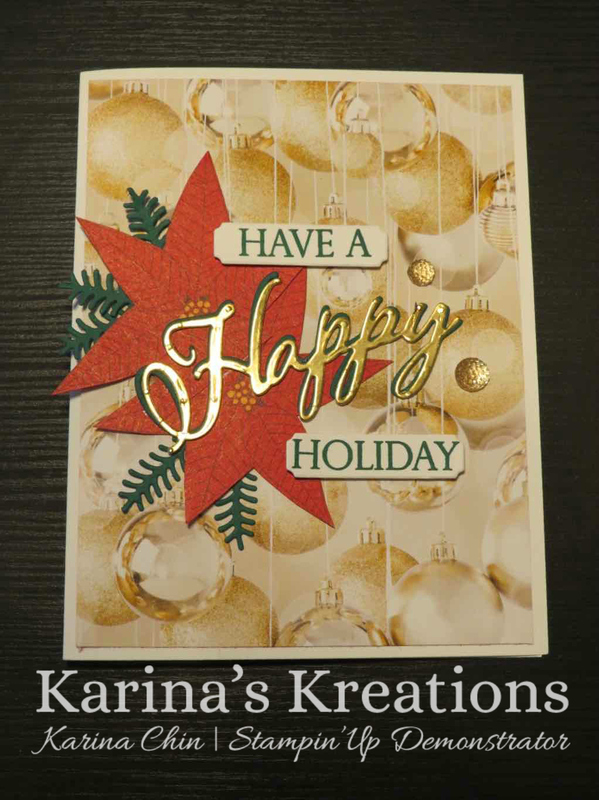 This is a classic set and the stamp set offers many combinations of Christmas greetings. To make this fun cards please click on a picture below to place an online order.